AIM is a child-centred model, involving seven levels of progressive support, moving from the universal to the targeted, based on the needs of the child and the service provider. It will offer tailored, practical supports based on need and will not require a formal diagnosis of disability. 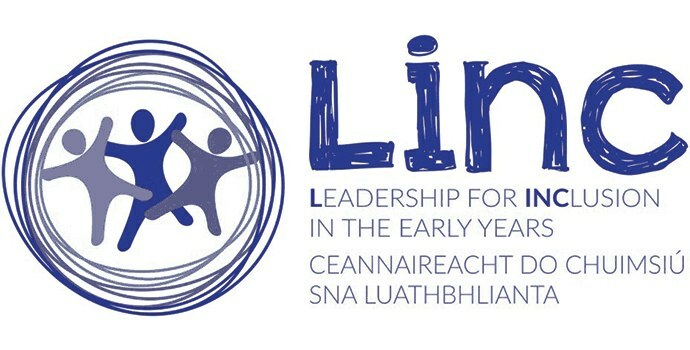 For further information please see the following link to the AIM website: http://aim.gov.ie/ or contact a Development officer in the Galway Childcare Committee office on 091-752039. AIM Inclusive Play is the latest addition to the suite of AIM Supports. All pre-school rooms delivering the ECCE Programme across more than 4,000 pre-school settings nationally will receive these resources. AIM Inclusive Play offers the potential to support the implementation of all levels of AIM. Many elements of Síolta and Aistear can also be supported by the effective use of these resources. More broadly, AIM Inclusive Play reinforces an important message – that children’s play is a vital ingredient of childhood, essential for both growth and learning and an integral element of high quality pre-school provision. Hey Children on the Autism Spectrum Play too!